Where the Bees Make Honey is a narrative puzzle adventure game developed by Wakefield Interactive. It tells a story about reflecting on different moments from a childhood, which are played and experienced from an adult perspective. 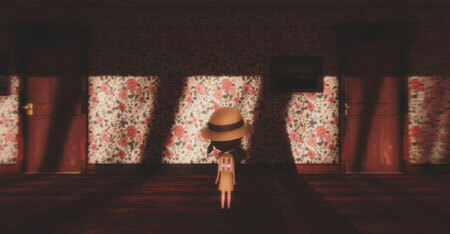 It’s a dreamy, ethereal, and thoughtfully crafted experience about nostalgia. When Sunny is an adult reflecting on the times when she was young, the game is played in a first-person perspective. This transition period takes place at her workplace, where she is ultimately at a crossroads with what to do next in her life. Playable vignettes allow for the game to transition into each season. This allows for a more focused approach for storytelling and player engagement. The vignettes offer an additional perspective of the season they precede. The gameplay varies considerably between seasons, vignettes, and moments. If you get stuck in the game, check out the video walkthrough and gameplay for the game. This entry was posted in PC Games, Walkthrough and tagged Where the Bees Make Honey Cheats, Where the Bees Make Honey Gameplay, Where the Bees Make Honey Guide, Where the Bees Make Honey Strategy, Where the Bees Make Honey Walkthrough by Marvin. Bookmark the permalink.